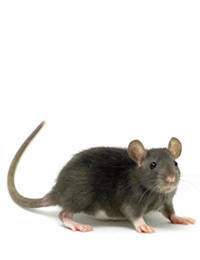 MICE & RATS are common types of rodents found in homes and buildings. They live in the roofs, basements, crawlspaces, and sometimes in your living area. 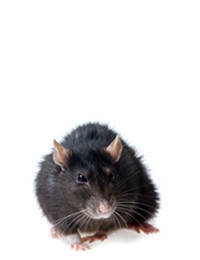 Rodents cause considerable damage to personal property, and structures, with their chewing and gnawing. Seventy percent of home fires each year can be attributed to rodents chewing on electric wires. In addition, rodents spread bacteria and life-threatening diseases. They nibble our food, urinate on countertops and stoves, and are usually active at night when we are unaware of their activities. Mice can bear about 48 babies in a year. These begin mating at five weeks old. 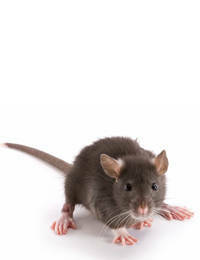 Rodents can enter buildings through a small holes and gaps around windows, plumbing, venting. Rats, like house mice, are mostly active at night. They have poor eyesight, but they make up for this with their keen senses of hearing, smell, taste, and touch. Rats constantly explore and learn about their environment, memorizing the locations of pathways, obstacles, food and water, shelter, and other elements in their domain. They quickly detect and tend to avoid new objects placed into a familiar environment. Thus, objects such as traps and baits often are avoided for several days or more following their initial placement. While both species exhibit this avoidance of new objects, it is usually more pronounced in roof rats than in Norway rats. Both Norway and roof rats may gain entry to structures by gnawing, climbing, jumping, or swimming through sewers and entering through the toilet or broken drains. While Norway rats are more powerful swimmers, roof rats are more agile and are better climbers. Norway and roof rats do not get along. The Norway rat is larger and the more dominant species; it will kill a roof rat in a fight. When the two species occupy the same building, Norway rats will dominate the basement and ground floors, with roof rats occupying the attic or second and third floors. Contrary to some conceptions, the two species cannot interbreed. Both species may share some of the same food resources but do not feed side-by-side. Rats may grab food and carry it off to feed elsewhere. Rats of either species, especially young rats, can squeeze beneath a door with only a 1/2-inch gap. If the door is made of wood, the rat may gnaw to enlarge the gap, but this may not be necessary.